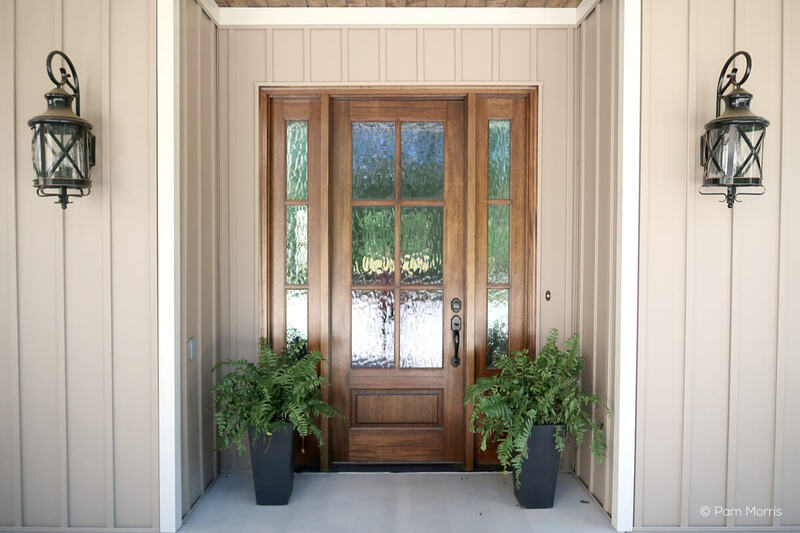 There are many ways you can personalize a door to make it uniquely your own. And one of the most impactful is the glass that you choose. Simpson offers dozens of options, all of which you can preview before you buy. Ready to see some ideas? As you get started with your glasspedition, keep these factors in mind. While clear glass will go with any setting or design style, a great way to bring out the character of your space is to add a textured or decorative glass option to your door. With dozens of options to choose from, as well as the ability to create a custom design, you are sure to find the right fit for your personal taste. 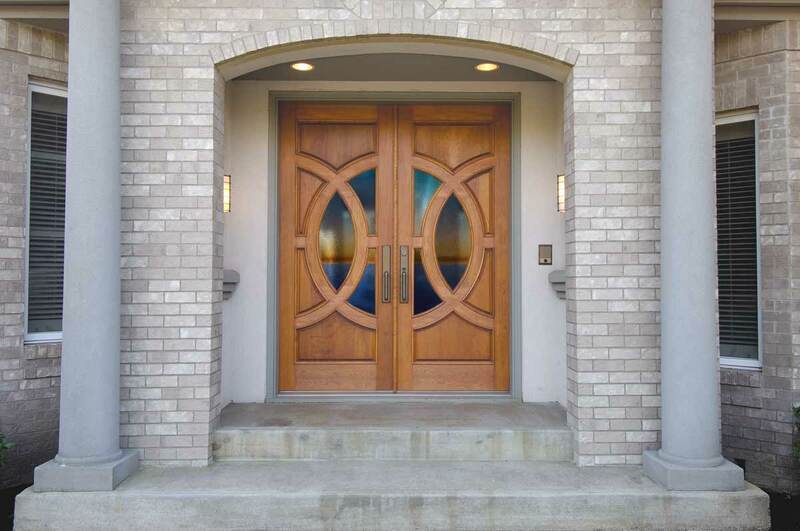 If you are looking to add light to your space, as well as a little bit of color, think about adding a decorative glass option that has glass with color, like this Lombard door shown below. It’s no secret that French and sash doors make a beautiful statement for any exterior door in the home, including the front entry. And these doors can even be used where privacy is an issue, just by selecting the right glass. All of Simpson’s textured and decorative glass options come with a privacy rating on a scale of 1 – 10 to allow you to find the right fit for your application. The higher the rating, the more privacy that glass type allows. The door featured below, for example, included our seedy baroque textured glass which has a privacy rating of 3. 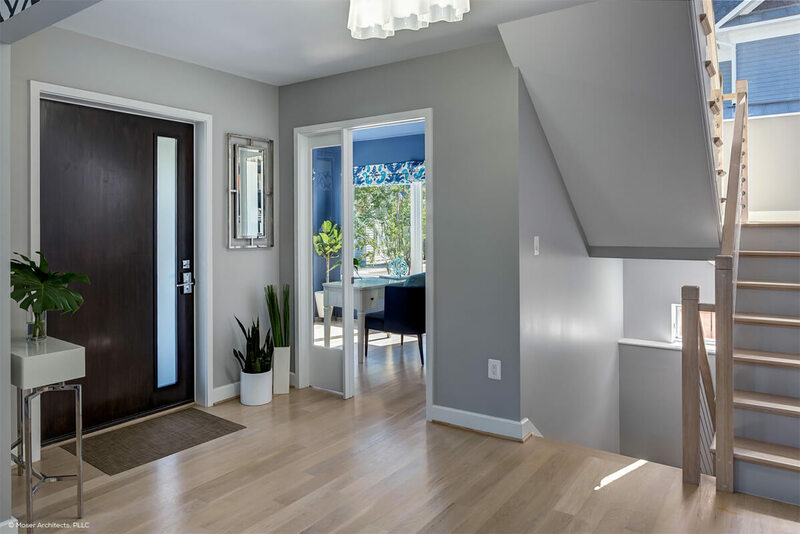 Choosing the right glass is a big decision, and you should be able to see what the glass will look like in your door before you make a purchase. The Glass Taste Test, part of our Doormagination® design tools, allows you to view any of our glass options in the door you want to buy. When you select the different glass options, you can preview the look and privacy, all in a real world setting. No more guesswork before choosing the glass that is right for you. There is another way to enjoy the view and and also choose privacy when it is needed. Simply select the Simpson 7102 door with internal mini blinds. The blinds are located within an insulated glass unit with clear glass on each side. This means the blinds don’t require dusting, cleaning, and won’t bang against the door each time you open it. These blinds are adjustable at the touch of a finger. To learn more about door 7102, you can download the product data sheet or watch the video below. We need 2'!0" doors. Is there any way of seeing which doors come that size Standard height. We want to make French doors. The only one we found was the 4226. We were hoping to have something a little fancier without going to expensive. I am looking for a 3/0 8/0 true radius door unit whit 9 or 6 lite SDL or TDL over a single panel bottom... Is this a option? If so where can I find some info on it? Yes, we can make any door any size. 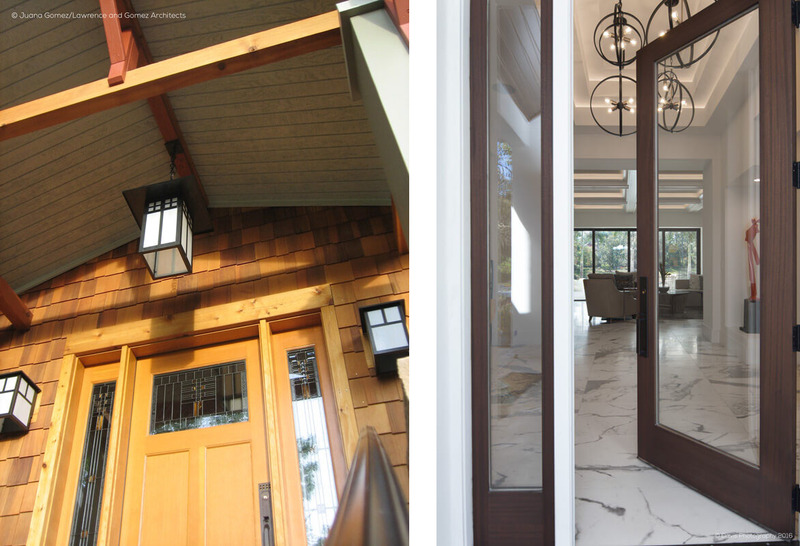 For help on choosing a door, we recommend calling our customer service line: 1-800-Simpson. They will best be able to help you find the door you need. this is beautiful. I had looked into this last year to get new windows. I got a quote from conservaiton construction of texas. Does anybody know how hard they are to install yourself though? I was hoping to save on labor.